A fantastic machine, fast efficient and frees me of the paper mountain. Perfect, after many years of moving large boxes of paperwork around with us from our business, it was decided to archive all of the information and go electronic. 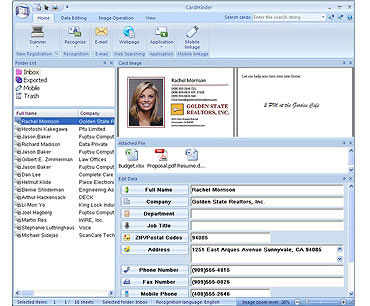 The software that came with the package made filing of the documents easy and provided a virtual filing environment. the scanner was more than up for the task. I have already scanned many thousands of pages with it with a few thousand more to go. I am sure I will not require another machine to finish the job off. Very pleased with the product and also the first class service from Trade scanners. fast delivery and full spares support for the scanner as well. I have not had to use the spares yet but they too were delivered very promptly along with the carry case all very worth while and I am now regaining valuble cupboard space. I did show the filing system to the Tax inspector and also the NICEIC inspector, both were happy with the way all documents can be retrived and both commented that it would be an acceptable way of filing documentation. 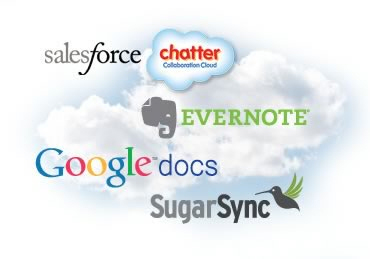 A super scanner that works very well with a comprehensive software suite. It scans quickly and as it is duplex is very versatile. 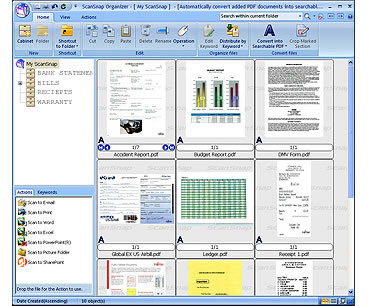 I bought it with the Rack2Filer which I think is a great software package for my small business and I have gone over to a totally paperless system now and I am saving on printing as an additional bonus. This is probably one of the most useful items in our office. 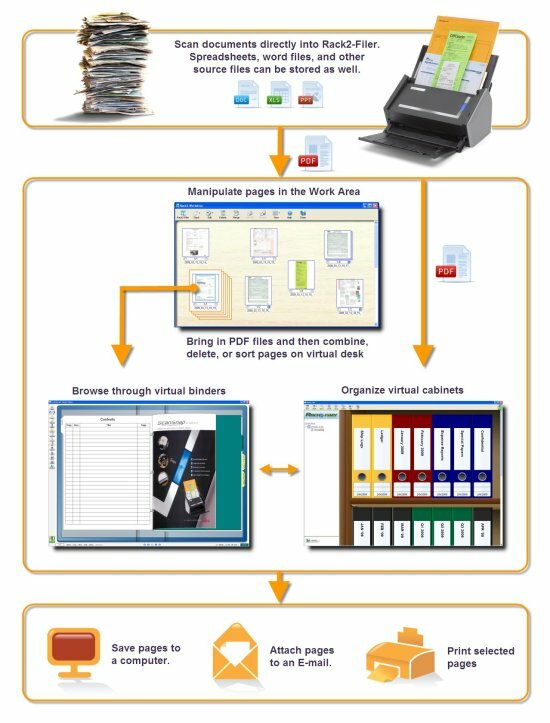 Once integrated into your work flow, it drastically reduces office clutter because it allows you to store, file and retrieve office records with ease. It's also small, reliable and cost effective in use. It's simply a perfect purchase! 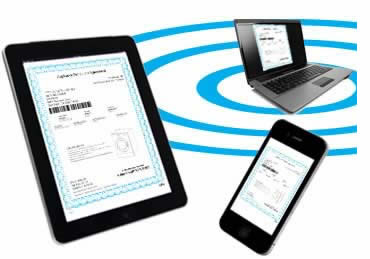 we scan everything from invoices to work sheets including till receipts it handles them all. 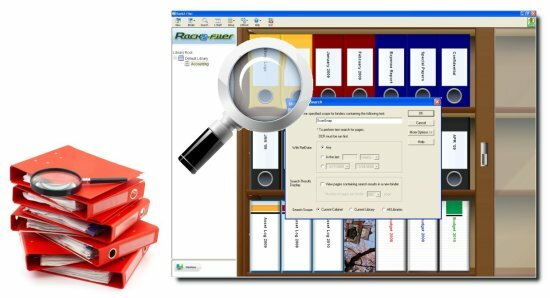 Rack2-Filer is a feature-rich scanning and digital data archiving application incorporating an ultra-intuitive user interface that gives users the benefits of what they love best about the paper world while harnessing the power and sophistication they depend upon within the electronic realm. 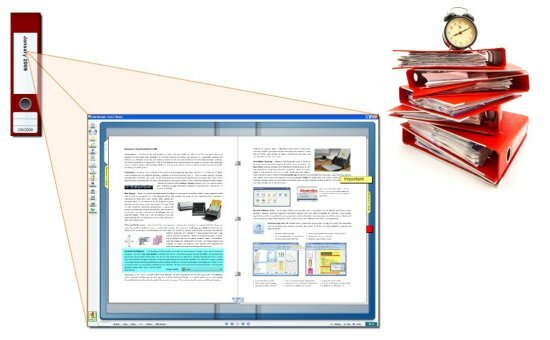 With Rack2-Filer and your Fujitsu scanner, you can easily scan, print, edit, distribute and organize your digitized documents. 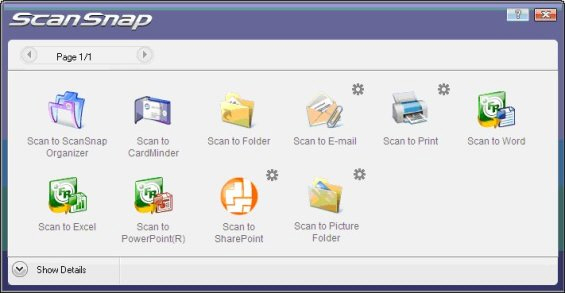 Rack2-Filer scanning software provides several tools to keep your content organized, presentable, and accessible. Rack2-Filer creates a life-like experience with digital content through the use of virtual cabinets and e-binders. 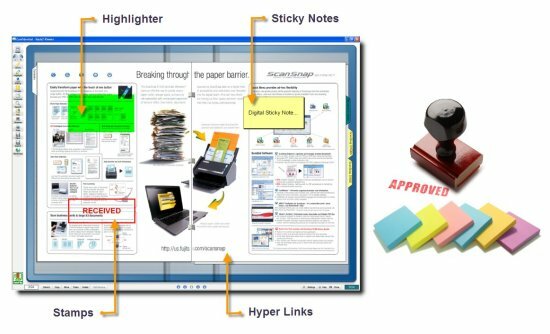 While flipping through pages, users can add highlights, divider sheets, and sticky notes to enhance the organizational value of their archive. 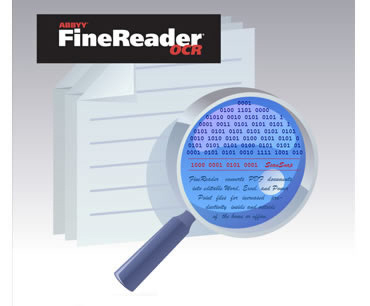 With Rack2-Filer's built-in Optical Character Recognition (OCR) engine, content can be made searchable by word, phrase or number. Even the "sticky notes" and "binder titles" can be searched. 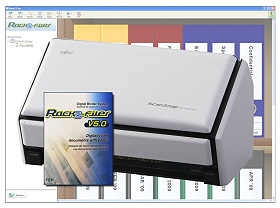 Rack2-Filer enables users to scan and store digital data in a very efficient way, providing several powerful tools and time-saving features to keep your content highly accessible, exceptionally organized, and working hard for you. Paper just can't compete.